Sorry, Microsoft. It might be entirely true that the Xbox One and Xbox 360 will play host to Bungie's Destiny this holiday, but Sony's playing this release like it's coming from one of their first party studios. All of the marketing and exclusive content? It all bends towards PlayStation. The trailers all say PlayStation, and the press conference presence has been dedicated to PlayStation. That first-party feel, no matter how real it is, seems to be intentional. Sony UK head Fergal Gara spoke with Eurogamer about the way the console maker is treating Destiny. …We're wrapping our arms around it on all levels of the organisation. It's a special project and an important project and it has the power to launch Christmas. It's hugely important." I streamed Destiny for five hours yesterday. In that time, at least a dozen people expressed that they wish the game wasn't a PlayStation exclusive. Sure, that's a small and anecdotal sampling, but talk about confusion… Sony's likely gotten the exact kind of buzz it wanted. 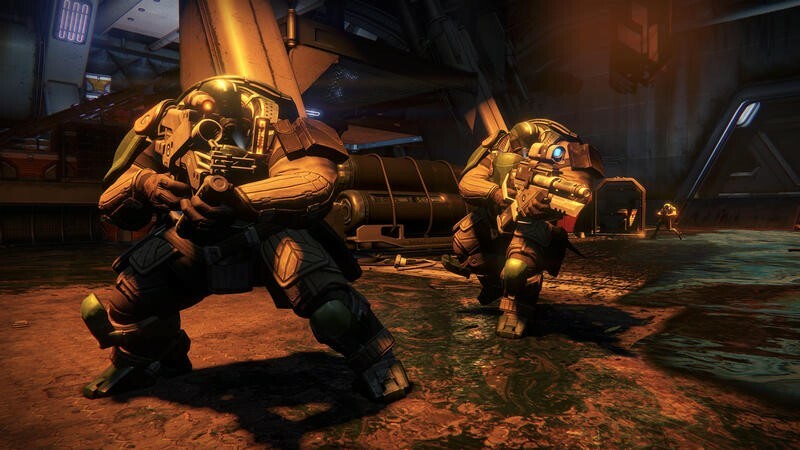 Destiny is available today for the PlayStation 4/PlayStation 3 and the Xbox One/Xbox 360. Which platform are you thinking about getting it on?